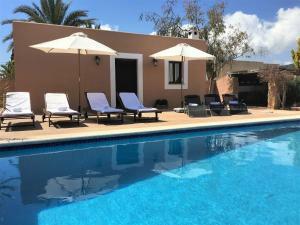 An amazing villa close to the clubs and with a really nice host that helped us a lot with information. Looking forward for a next trip in Ibiza. I loved this villa, already looking to go back. the host was super amazing always available for anything and very generous. You will not be disappointed! Lovely host with great advice and so helpful! Must come back! Esencialmente, que conseguir una casa en Ibiza, con piscina, a finales de julio y con este precio... Es un milagro!! Éramos 8 y estuvimos perfectamente repartidos en las 4 habitaciones, con los tres baños y sus tres duchas, teníamos más que suficiente. Repetiremos, SEGURO! 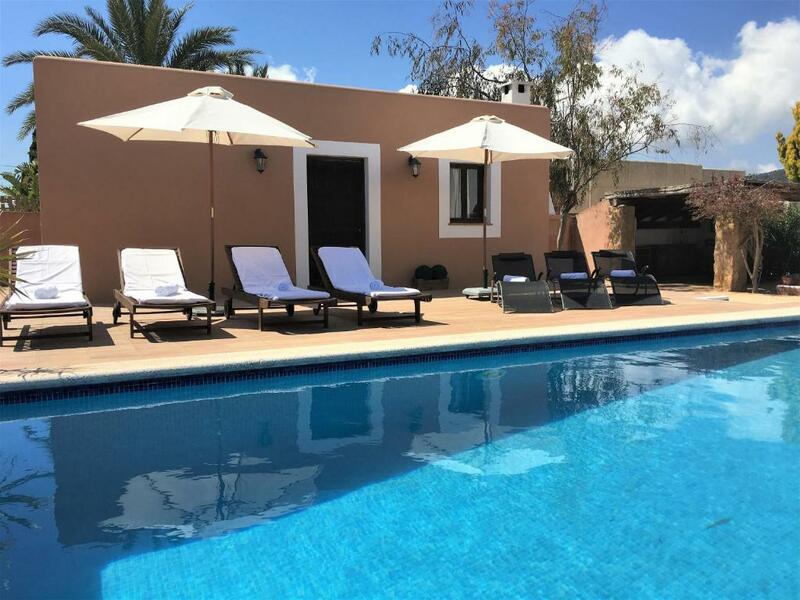 Lock in a great price for Villa Sant Jordi – rated 8.7 by recent guests! 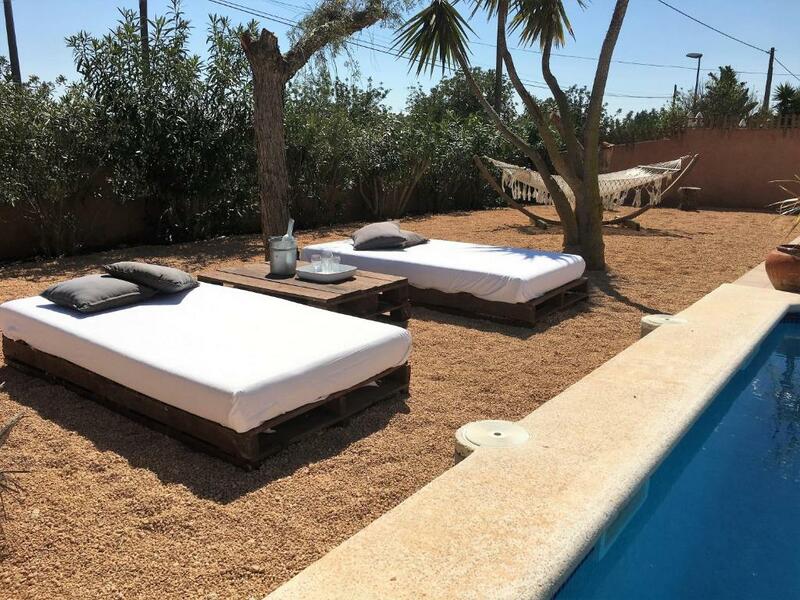 One of our top picks in Sant Jordi.Featuring a seasonal outdoor swimming pool, barbecue facilities, and a garden, Villa Sant Jordi has accommodations in Sant Jordi with free WiFi and sea views. 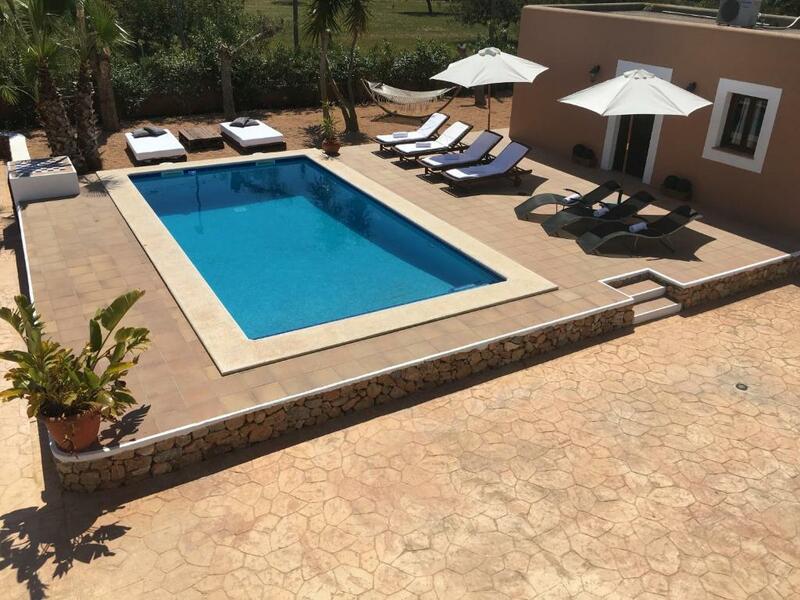 Guests can go for a swim in the private pool. The villa has 4 bedrooms, a fully equipped kitchen with a dishwasher, and 2 bathrooms with a bath and free toiletries. The air-conditioned property also provides a flat-screen TV and a bathroom with a hair dryer. 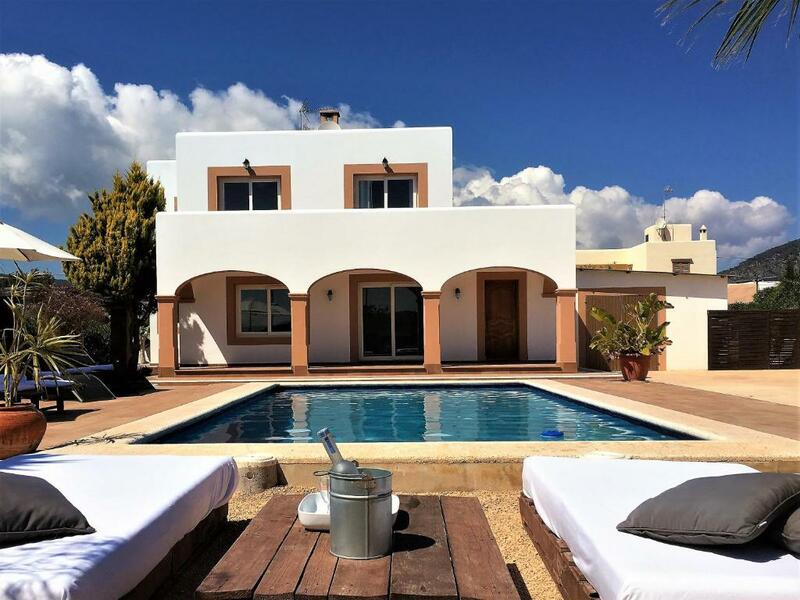 Ibiza Town is 3 miles from Villa Sant Jordi, while San Antonio is 12 miles from the property. Ibiza Airport is 2.9 miles away. 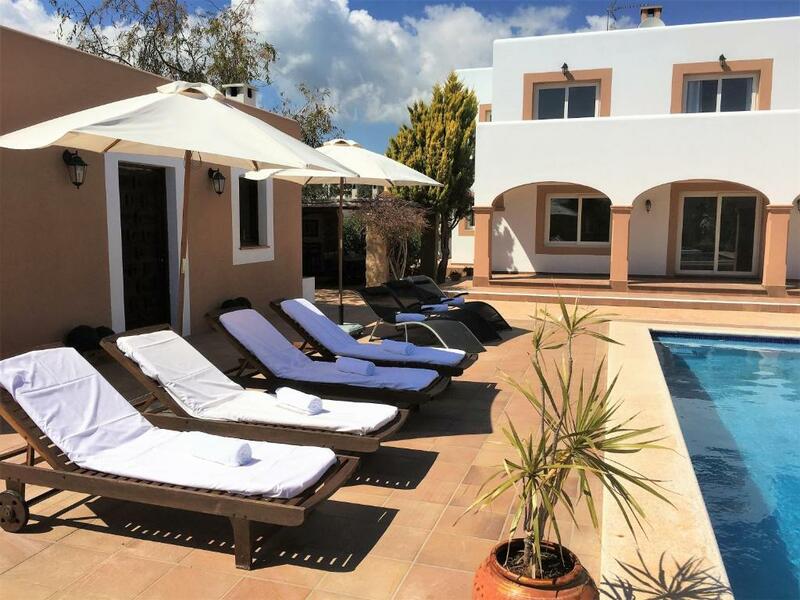 This villa has a balcony, washing machine and dishwasher. 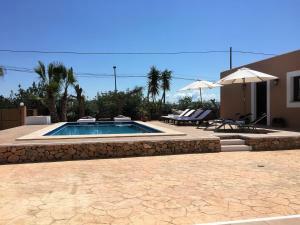 La villa está situada en Sant Jordi de Ses Salines a 1,5km de Platja d’En Bossa, 3km de Ibiza ciudad y a 3km del aeropuerto. Está distribuida en dos zonas con accesos independientes: casa y apartamento. 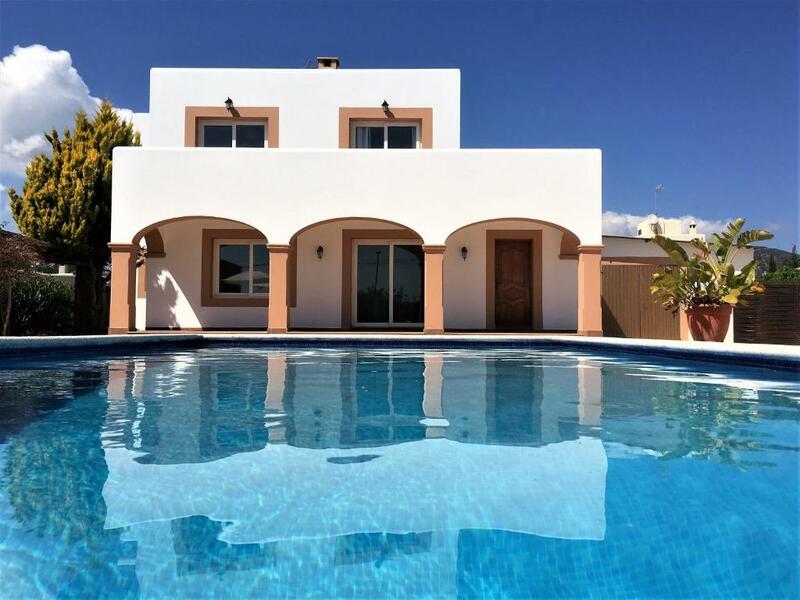 La casa está dotada de una zona común muy acogedora y luminosa con acceso al exterior y a la piscina. Tiene una cocina totalmente equipada semi abierta, salón-comedor con cómodos muebles y tv. Hay tres habitaciones dobles y dos baños completos (uno con ducha y otro con bañera. El apartamento, con acceso directo a la piscina, tiene capacidad para cuatro personas y tiene un baño con ducha. La zona exterior dispone de piscina con sol todo el día, hamacas, zona chillo out, barbacoa y comedor exterior. El precio incluye toallas y sábanas. Wifi. Aire acondicionado. Secador de pelo. Parking para más de 3 coches. 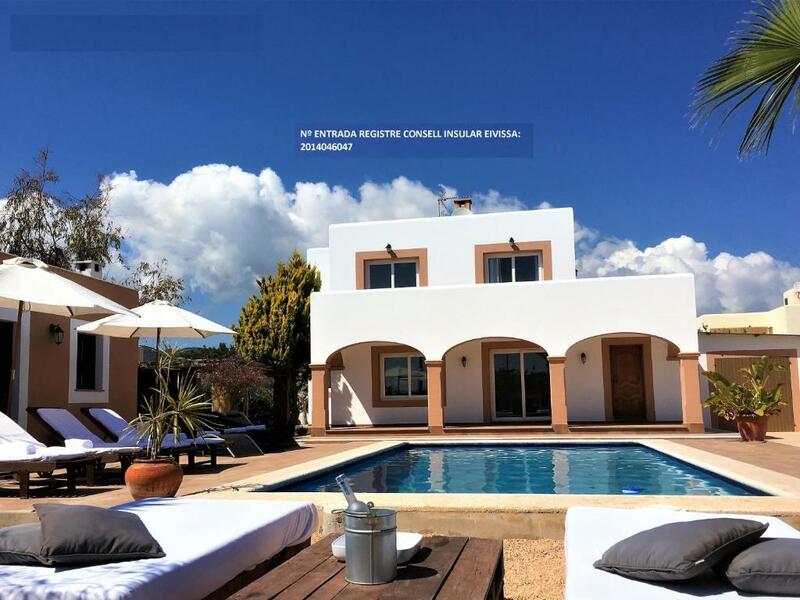 La casa está situada en un punto estratégico de la isla a: 1,5km de Platja d’en Bossa, a 3km de Ibiza ciudad, a 3km del aeropuerto, y a 6km de las maravillosas playas de: Ses Salines, Es Cavallet, Sa Caleta, Es Codolar. Será un placer asesorar e indicar a los huéspedes los mejores sitios de la isla. Es un barrio residencial, con una ubicación privilegiada. 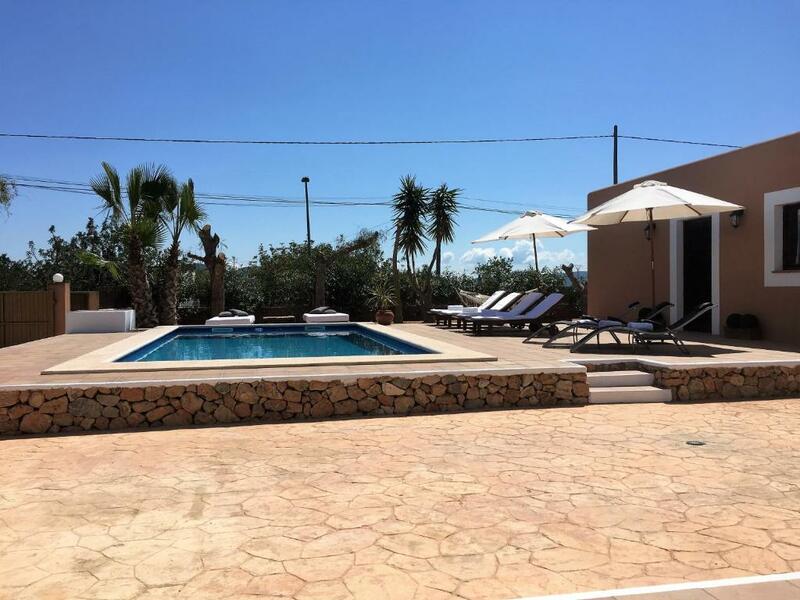 House Rules Villa Sant Jordi takes special requests – add in the next step! Please inform Villa Sant Jordi of your expected arrival time in advance. You can use the Special Requests box when booking, or contact the property directly using the contact details in your confirmation. A damage deposit of EUR 700 is required on arrival. That's about 787.04USD. This will be collected as a cash payment. You should be reimbursed on check-out. Your deposit will be refunded in full, in cash, subject to an inspection of the property.